In this blog, Jessica Lamond reports on an inspiring mix of Blue-Green, traditional and innovative ideas for resilience at the BRE resilience summit last month. 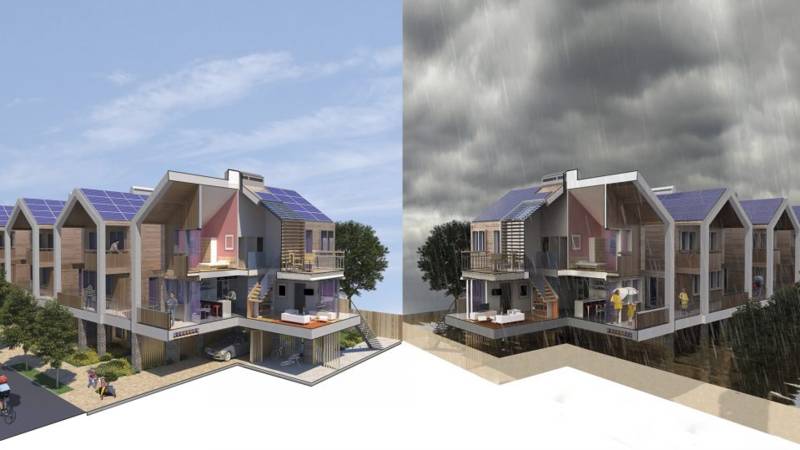 Rebecca Taylor JTP Architects spoke on their home for all seasons (Figure 1) and about resilient development. She reflected on the large proportion of their portfolio that had some flood risk to deal with even though it might be classed as low risk and only on part of the site. Landscaping is a key part of their approach and making multi-functional spaces. A mixed-use neighbourhood that included creation of a sustainable drainage system by opening up Gatton Brook and diverting it through reed beds, into a new canal and the regenerated lagoons. A linear wildlife corridor along the watercourses to increase bio-diversity, provide a natural habitat for wildfowl and link to the wider ecological area managed by Surrey Wildlife Trust. A variety of housing designs to relate to individual landscape and water character. Maximisation of views from homes to the lagoons through the masterplan’s south-east/south-west orientation. The team are creating and implementing resilient designs for a home a business and a community centre. You can see the videos here. Dr Elizabeth English, Associate Professor at the University of Waterloo, Ontario, Canada demonstrated the benefits of adding buoyancy to existing property as a way of retaining cultural heritage and creating floating houses (Figure 3). She presented on a variety of systems including cheap and cheerful buoyancy installed in existing crawl spaces to more expensive systems involving excavating below ground to retain the visual integrity of existing designs. 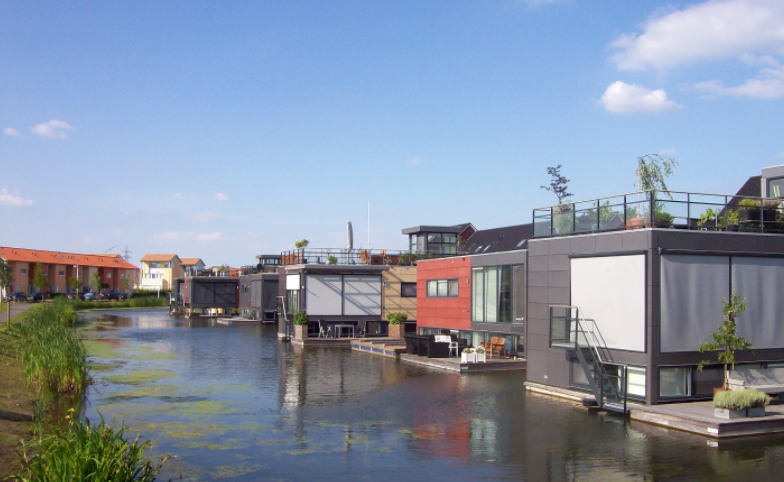 Figure 3: Floating homes in Leidsche Rijn, Netherlands. Professor Chris Zevenbergen from Delft University of Technology spoke about city to city (C2C) learning. 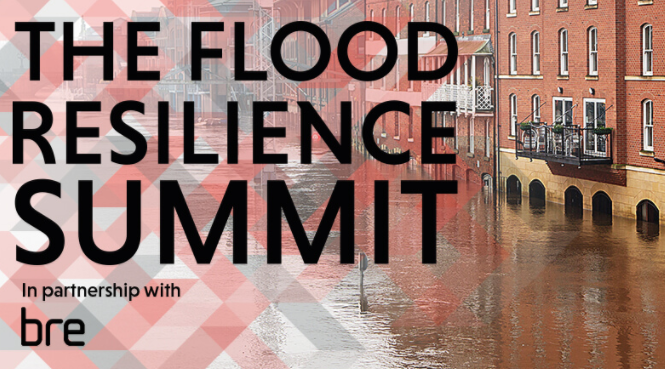 This is a subject close to the heart of the Urban Flood Resilience project as we seek to bring Newcastle and Ebbsfleet together in the UK and to learn from the experiences of Urban Flood Resilience globally. While plenty of initiatives and networks exist such as UNISDR’s Making Cities Resilient Campaign, Rockefeller Foundation’s 100 Resilient Cities, EU Mayors Adapt, C40, ICLEI, providing the platforms to build and share evidence around adaptation in practice. Prof Zevenbergen highlighted the challenges for smaller cities and proposed that effective peer to peer learning is dependent on proper matching and a long term horizon and vision. Dr Jessica Lamond is an Associate Professor at the University of the West of England (UWE). She is a Co-Investigator on the Urban Flood Resilience project, a consortium of nine UK universities.